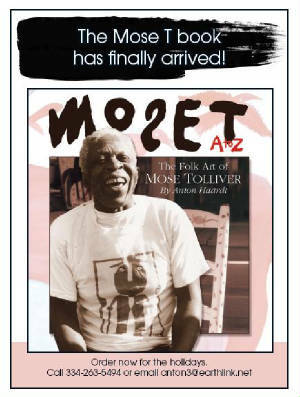 "Mose Tolliver used to hang his paintings in a tree outside his home in Montgomery, Ala., pricing them at one or two dollars a piece," writes Anton Haardt in Mose T. From A to Z: The Folk Art of Mose Tolliver, a dynamic biography, lushly illustrated, by the woman whose eponymous Magazine Street gallery has perhaps the city's most extensive inventory of high-quality works by black Southern folk artists. 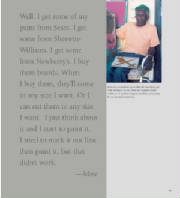 We know you will want to read Mose Tolliver¹s incredible story. 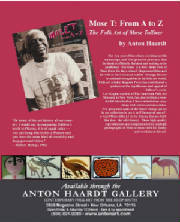 For additional information on Mose Tolliver you may visit the website for the Anton Haardt Gallery in New Orleans at www.antonart.com. a curious thread...and the devil may care duet of this unusual friendship is true. 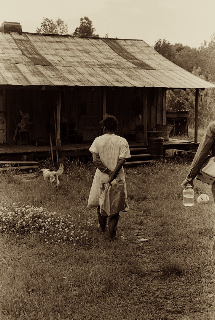 Juanita Rogers born near Montgomery, Alabama, in 1934 began "making mud" as a child. 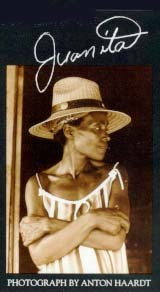 Using cast-off materials and easily found material such as mule and cow bones, fossil shells, and mud dug from the woods near her house, her primitive existence was reflected in her work. 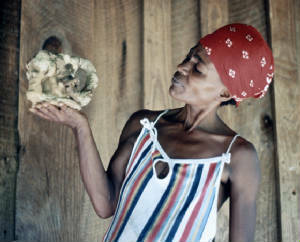 Although Juanita firmly denied any connection with voodoo or hoodoo, perhaps in her work she unconsciously nurtured a dwelling place for a spirit, giving it an identity and personality. 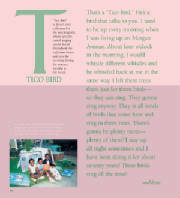 She treated her mud work with an unwavering sense of mission, even though her eccentric ways and compulsive urge to create segregated her from the outside world. A select retrospective of Juanita Rogers' work is planned in the near future, and the book Run Toward The Sun: Remembering Juanita Rogers by Anton Haardt will be published soon. 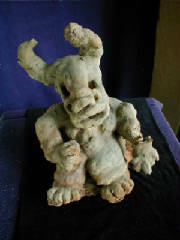 Saturno Press is looking for a Distributor for the upcoming book. Juanita Roger's work has been accessioned by museums in the United States and Europe, including such prominent collections as L' Aracine Museum in Paris,the Art Brut Museum in Lausanne, Switzerland and the Outsider Archives in London. 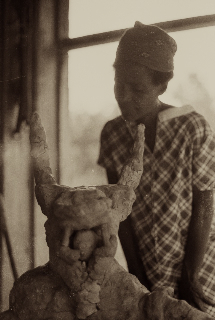 Her sculptures and drawings began to arouse interest even before her death, and knowledge of her story has increased every year since. Are We Alone (2000) American Visionary Museum Exhibit of Extraterrestrial Visions.